Acer has reportedly postponed the launch of a new smartphone running a Chinese-developed Android competitor because Google threatened to retaliate. The PC maker planned to hold a press conference in Shanghai on Thursday to unveil its CloudMobile A800 handset, which is geared toward the Chinese market and runs Aliyun 2.0, an operating system created by e-commerce giant Alibaba Group. 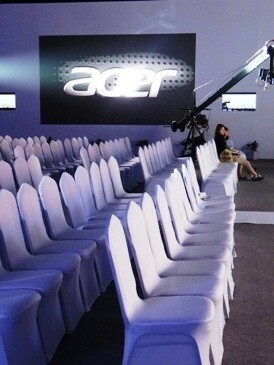 However, Acer cancelled the event mere hours before it was expected to jointly unveil the A800 with Alibaba. An Acer executive declined to explain the abrupt change of plans, saying only that the unveiling was axed for a "special reason." However, an unnamed company official quoted in a report on the Dow Jones Newswire said the cancellation is related to Google's concerns over Acer's use of Aliyun. Speaking with CNET, Alibaba said that Google threatened to end its partnership with Acer if the company supported Aliyun. "Our partner was notified by Google that if the product runs Aliyun OS, Google will terminate its Android-related cooperation and other technology licensing with our partner," CNET's source said, adding that Alibaba understands and respects Acer's decision to delay the A800's launch. In a different comment on the situation, an Alibaba spokesman said Google's actions are "clearly unfair to consumers." The representative said Alibaba is concerned about how Google's move will impact consumer access to competitive products. "We believe that by introducing the Aliyun OS we are giving consumers and hardware makers more options which is the foundation of a healthy and strong market." Although most people probably aren't familiar with the A800, the device's launch was a big deal for Acer and Alibaba. Acer is the first major system vendor to build a product with Aliyun OS, which has previously only appeared on Chinese handsets from Haier and Tianyu. The A800 would strengthen Acer's presence in China's smartphone market while expanding the share of Alibaba's nascent mobile OS.